Over the past year I have been quite lacks in making play dough. In fact I think it has been over a year since I made it last. Whoops. YC always asks for it, but as always we seem to just run out of time. 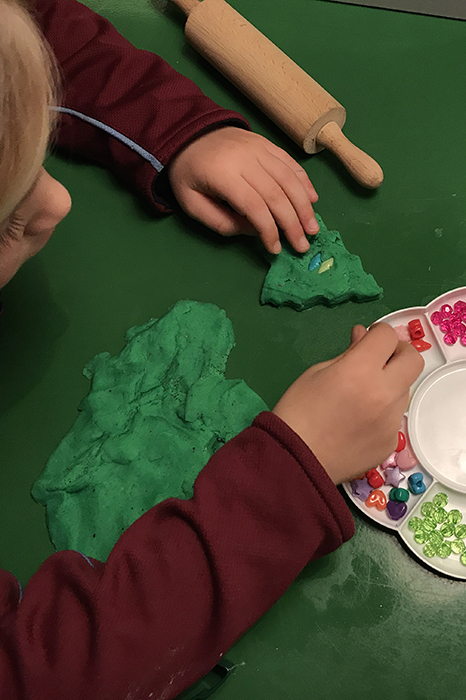 This week I was determined to set up an invitation to create play dough Christmas trees for her and EC. Combine all ingredients into a saucepan and mix together on a low heat. Keep stirring until it forms a dough and comes away from the sides of the pan in one big clump. Empty it out onto your work surface and kneed it until it becomes smooth. Do be careful that it isn’t too hot. An invitation to create is just that an invitation to come and create with certain materials. All you need to do is set up the materials that may be needed and then it is up to your child to come play and explore however they choose. 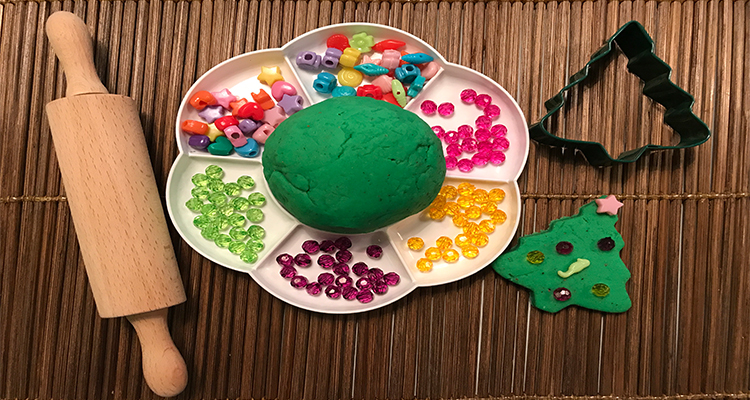 I set up a little tray (it is actually a paint palette from Tiger) with the play dough in the middle and different decorations around it. 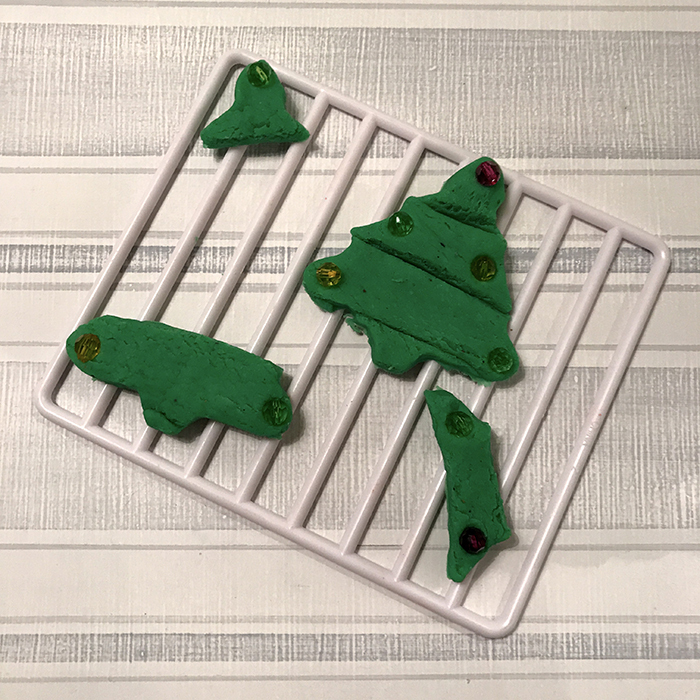 I also put out a rolling pin, cookie cutters, and YC’s pretend oven. She was absolutely delighted with the set up, and was very keen to get her homework and spellings out of the way. Once EC had finished his, he joined her. EC made Christmas tree jigsaw puzzles. It was really nice to see how each of them went about playing and creating. Although we did get some fighting about who got to use the oven. 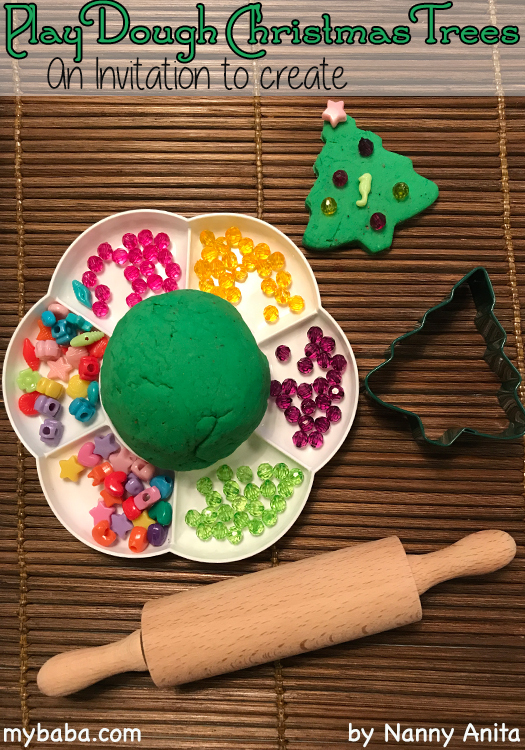 While YC made a variety of Christmas tree themed cookies and ice creams. 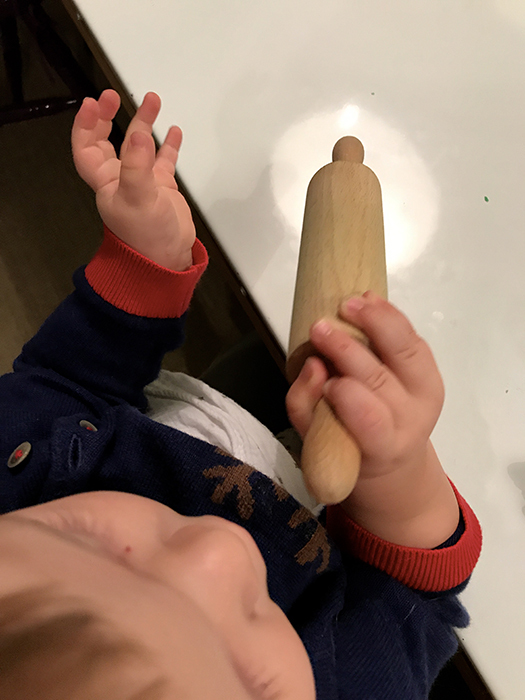 BB was more interested in banging the rolling pin on the table than touching the play dough. 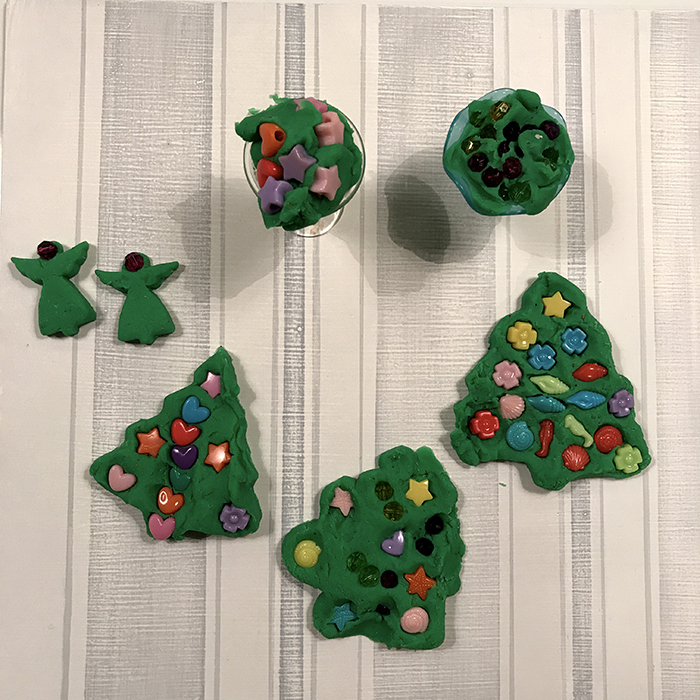 If you enjoyed this invitation to create play dough Christmas trees then be sure to check out my no cook play dough and my marbled salt dough decorations.